Hello! Welcome to the day 2 of Taylored Expressions September Sneak Peeks! It's TE's sixth birthday! To celebrate, along with new stamps and dies, we are releasing our very own line of patterned paper and coordinating cardstock, as well as our own Embossing Folders! All products will be released on Thursday, September 11, @ 7 AM PST. 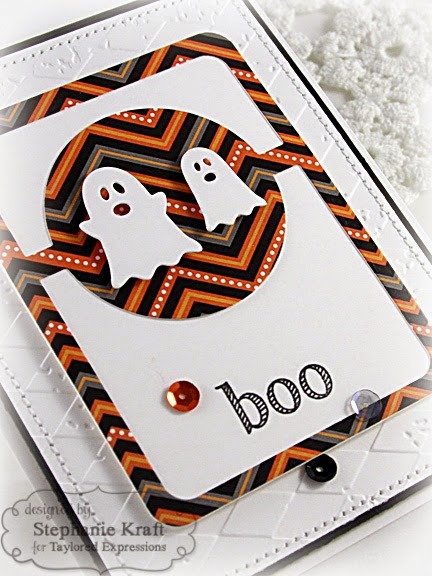 Today I have some Halloween cards to show you! 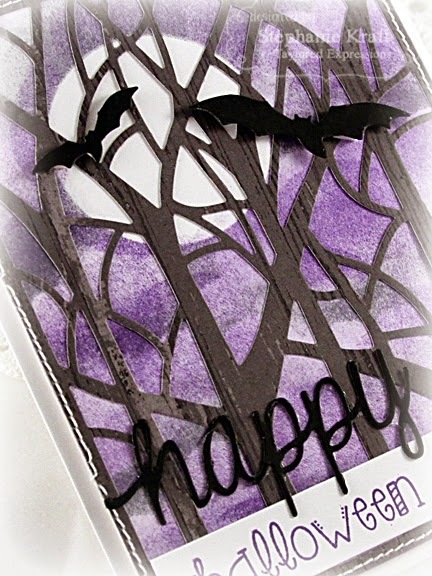 First I have a couple of cards using the new Spooky Trees Cutting Plate and Spooky Trees Accessories. For both, I created a night sky background with a full moon and layered the cutting plate over it. 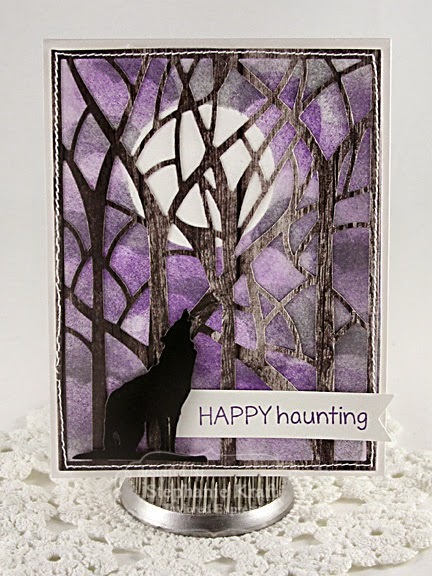 The next card features a wolf (from Spooky Trees Accessories) howling at the moon. Sentiment is from Mischief Maker - Lil Pumpkin. 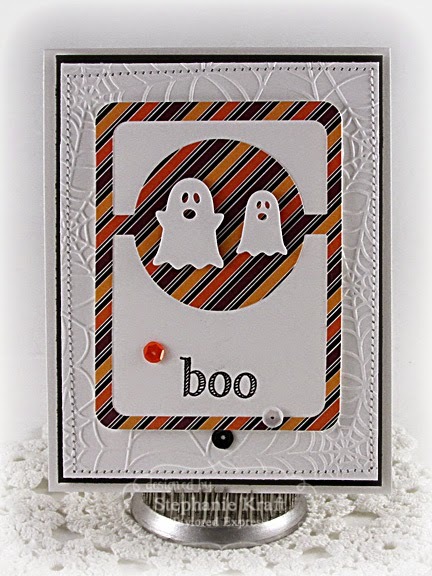 Next is a couple of cards featuring Little Bits Ghosts. 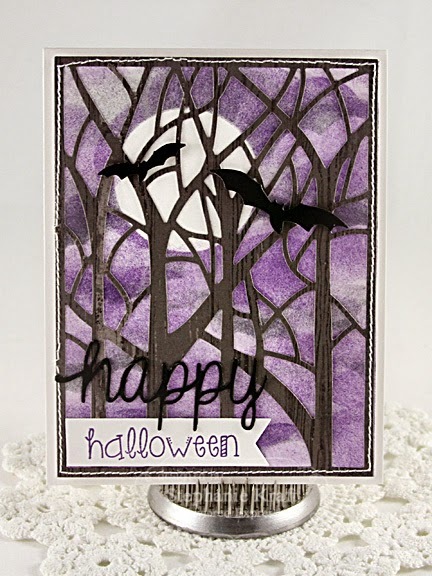 Patterned papers and cardstock are from the new Hocus Pocus Matched Kit. The sequins are part of the Hocus Pocus sequin collection. I used the Tangled Webs Embossing Folder on the white background. 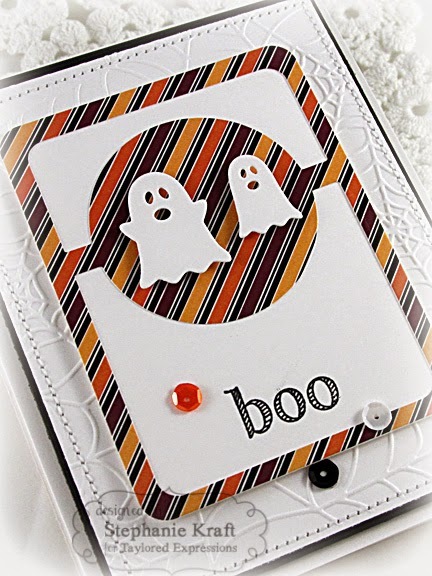 The ghosts are popped up on the Pockets & Pages 3x4 Circle Showcase. 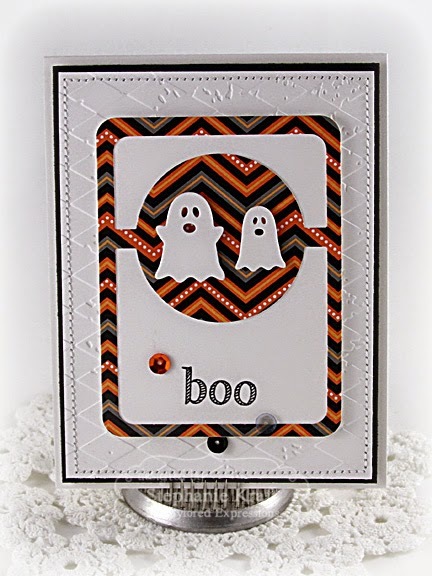 Sentiment is from Little Bits of Halloween. The final card is identical except for the white background is embossed with the Harlequin Embossing Folder. 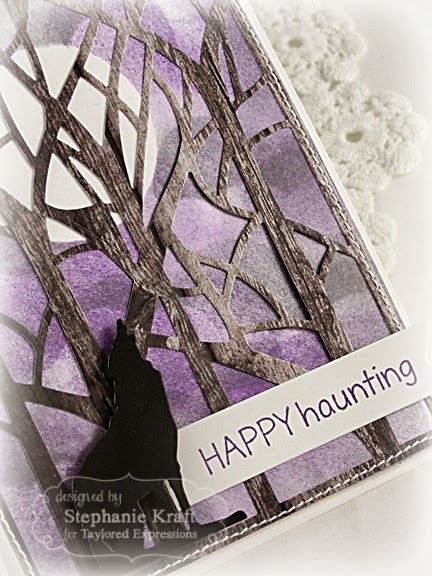 What a super spooky sky you created for your first set of cards, Stephanie, and I love how you used the little ghosts with the circle showcase die...sooo fun!! !